The focus of this release is simplifying the threat hunting process. 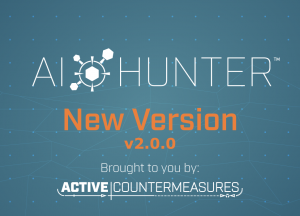 As of this release, AI-Hunter takes the first pass at threat hunting the network for you. We identify which characteristics could be indicators of a compromise, and assign a “threat score” from zero to 100 to each of your hosts. You can find more info in the release announcement posted here.